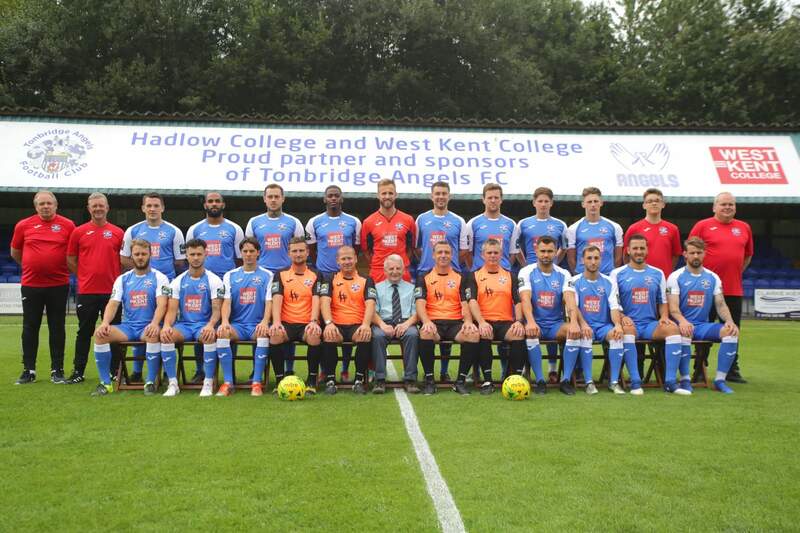 Appointed Tonbridge Angels manager in May 2014 from Sutton Utd where for the previous two years he had gained valuable managerial experience as Head Coach under Paul Doswell. As a central midfielder Steve represented with distinction Hayes, Kingstonian, and Ebbsfleet Utd before joining Sutton in May 2008. Guided the Angels to a Bostik (Ryman) Premier play-off semi-final spot in 2015/16 and the Emirates FA Cup 4th qualifying round in 2016/17. Appointed by Steve McKimm as his No. 2 in May 2014. Barry was 1st Team Coach at both Bromley and Merstham and has played at National League level with Woking and Hayes where he was a teammate of Steve’s. Steve completed his backroom team soon after his arrival by appointing local man Justin in June 2014. Previously, Justin had a managerial role at Ramsgate. Appointed in June 2016 to provide support and help develop the goalkeeping skills and technique at the club. Previously played at Tunbridge Wells. JONNY HENLY (Goalkeeper) DOB 15/03/94. Signed in August 2017 from Hemel Hempstead Town following a successful loan period at the end of 2016/17 during which he achieved some Man of the Match performances for the Angels. Previous clubs include Reading, Aldershot, Oxford Utd., Welling Utd and Ipswich Town and he has also represented Scotland at U19 and U21 levels . Runner up for the Supporters Player of the Year Award 2017/18. JACK PARTER (Defender) DOB 21/11/93. An exciting young prospect who broke into the Angels 1st team from the club’s successful youth system. Enjoys attacking the opposition down the flank when operating at full back, yet shows great maturity for one so young. Returning to Longmead in June 2018 this popular and versatile player can operate in defence or midfield. Was with the Angels for nearly three seasons making 128 appearances before a spell with Grays Athletic. Experienced player who can operate at full back or in central defence. Arrived at Longmead in July 2017 from National League South side Eastbourne Borough having previously been with Gillingham, Ebbsfleet Utd, Maidstone Utd and Dover Athletic. Steve has captured a leader. A successful product of our youth system, Callum broke into the 1st team from our U18 side in 2016/17. Also joint manager of our U14 side and joint organiser of school holiday open training sessions at Longmead. Our longest continuously serving 1st team player, Tom joined from Leatherhead in June 2014 with other previous clubs listed as Maidstone Utd and Ramsgate. Usually employed in the heart of midfield but equally capable of performing in central defence, he has an appetite for scoring goals from open play or at set pieces. Runner up three years in succession in the Supporters Player of the Year competition demonstrates ‘Parky’s’ consistently high performances in which he lets his playing do the talking. Deservedly appointed 1st team captain in 2016/17 but unfortunately was out for much of last season recovering from a fractured leg. He will undoubtedly come back stronger this campaign. Joint manager of the Angels Academy teams. Impressed the Angels management team when Jared came visiting with Harlow in 2017/18 and consequently signed for us in June 2018. Jared has plenty of experience in Bostik League football with previous spells at Brentwood Town and Enfield Town as well as Harlow Town. A talented left sided player who joined the Angels in August 2017 from Kingstonian. Enjoys playing either just behind the strikers or wide and will be integral to Steve McKimm’s ambitions for 2018/19. Swept the board at last season’s player awards evening winning Managers Player of the Year, Players Player of the Year, and Supporters Player of the Year which says everything about Joe’s abilities. Broke through to the 1st team in 2017/18 following his involvement with the successful Angels U18s side the previous season. Signed from fellow Bostik Premier club Leatherhead on Christmas Eve 2018. A playmaker who is comfortable with the ball at his feet, but equally capable of taking up great positions off the ball. Other clubs include, Aylesbury United, Redbridge and Barkingside. Arrived at Longmead in June 2018 from Harlow Town with an outstanding pedigree of 178 goals in 278 appearances for the Hawks. But goal scoring is not the only part of Alex’s game as his holding up of the ball when seemingly crowded out in the final third will prove invaluable to the team. Signed from National South club East Thurrock Utd in February 2019 with money being put up by a group of Angels supporters. Comes to Longmead with a strong non-league CV including spells at Leatherhead, Kingstonian, Hayes & Yeading, and Chelmsford and having started his career with Gillingham.